Fairview Microwave has introduced 28 new waveguide electromechanical relay switches that operate from 5.85 GHz to 40 GHz delivering full waveguide performance in C, X, Ku, K and Ka frequency bands. They are ideal for applications that include VSAT, SATCOM, radar, microwave radio, electronic warfare, electronic countermeasures, research and development, space systems and test instrumentation. These waveguide electromechanical relay switches are configured for single-pole double-throw (SPDT) operation with latching actuators, self-cut-off, TTL logic, and position indicators with manual override. A shorting plate can be removed for optional double-pole double-throw (DPDT) operation. All switches incorporate a patented motor drive with arc suppression and include an environmentally sealed, quick-connect DC control connector and mate. 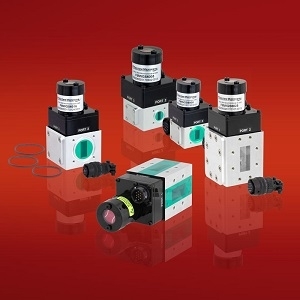 These switches boast a compact package design with integrated waveguide ports with grooved flanges and O-rings for pressurized operation (up to 30 PSIG). They are available in a broad selection of waveguide sizes that include WR137, WR112, WR90, WR75, WR62, WR42 and WR28. These new broadband waveguide electromechanical switches are ideal for designers who need to route either low or high power signals for applications that may involve microwave communications, broadcasting and radar. All 28 models available and ready to ship. Click here to learn more.